Scottish courts must dramatically reduce the number of people being sent to prison in order to save lives, according to judicial experts who claim the system has “lost its way”. The call from lawyers, academics, campaigners, prisoners and their families, comes in the wake of the suicides of Katie Allan, 21, and William Lindsay, 16, who both died in Polmont young offenders’ institution earlier this year. Linda and Stuart Allan, Katie’s parents, last month launched a campaign calling for a review of the prison system to look at systemic failures. They claim their daughter – who was convicted of a drink driving offence – was bullied and subject to humiliating strip searches. Earlier this month it emerged that William had taken his own life 48 hours after being admitted and held on remand, just months later, despite having been flagged up as a suicide risk. He was sent to prison against the advice of social workers because there was no room in secure accommodation, after having been charged with possessing a knife. But with figures showing there have been more than 58 suicides over the last ten years, multiple experts said that the best way to save lives was to make prison a last resort, with community sentences used whenever possible. Analysis shows stats for deaths where a Fatal Accident Inquiry (FAI) has been completed include 11 of young people of 25 or under since 2008, including several teenagers. More than half were remand when they took their own lives and several committed suicide within days of being admitted, some within hours. 29 died within a month of arrival in prison. The outcome of a further 23 deaths last year is still undetermined but includes the suicides of Robert Wagstaff, 18 and Liam Kerr, 19, who died in Polmont within days of each other last January. Liam was previously homeless and had spent time in the care system but was trying to re-build his life because being convicted. In an interview with the Sunday Mail, Robert’s mother spoke of how she is still waiting for answers on why her son took his own life. He had also spent time in care and in secure accommodation, where he showed talent while learning to cook and wanted to be a life guard. A further 25 Fatal Accident Inquiries are outstanding on deaths in prison this year, including Katie and William’s. Human rights lawyer Aamer Anwar, who is representing the two families, claimed there could be as many as 12 suicides this year, the highest number for a decade. Anwar said: “It clear to every person that bothers to look at the facts that locking people for the sake of it does not work. It institutionalises violence, increases the chance of reoffending and its time our politicians had the guts to look at other countries which have introduced radical alternatives that have worked. “Prison is not the right place to treat serious psychiatric conditions or send those who are no risk to the public. But prison life has become so divorced from this principle that both prisoners and staff are incarcerated in an unreal, filthy and frightening world which at its worst, is killing people. The Allans met with Humza Yousaf, Justice Secretary earlier this week, who promised that they would not have to wait for the outcome of the FAI – expected to take a couple of years – before lessons were learned. Though the prison population has been gradually falling in Scotland over the last 10 years, it is claimed the number of people being given custodial sentences – 12,649 in 2016-17 – is too high. Despite guidelines that steer judiciary to a presumption against sentences of less than six months, 3,495 were given a sentence of less than three months and 4,954 a sentence of between three and six months last year. When early release is factored in, 7,954 people were sent to prison for a period of three months or less – 63 per cent of all people receiving a custodial sentence. The most recent available figures show 60 per cent of those serving a sentence of less than three months were re-convicted. Prisons have also reported pressures such as the increased use of synthetic cannabinoid Spice and problems with staffing. Last month an inspection report by the Mental Health Welfare Commission found that there was a continuing shortage of mental health staff at Grampian prison with just one nurse in post “for some time”. Jim Bollan, councillor in West Dunbartonshire whose daughter Angela, 19, died in 1997 while in Cornton Vale prison, in Stirlingshire, also backed the call for better use of community alternatives. “When my daughter Angela died the Howard League for Penal Reform indicated only one per cent of women who are in prison needed to be there for their own and the safety of the public,” he said. “Until the sentencing policy changes and community alternatives to detention are the norm and not the exception then young vulnerable lives will be lost. 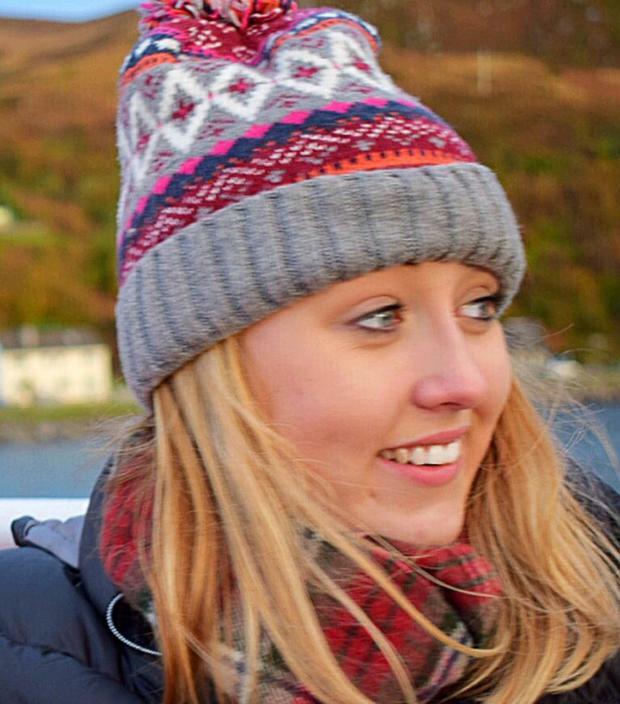 Sarah Armstrong, director of the Scottish Centre for Criminal and Justice Research, said she was struck by the heart-breaking stories behind the prison death statistics: “There are so many Katie Allans,” she added. Alison Payne of think tank Reform Scotland, which last year released a report calling for an end to “ineffective” short sentences, said there was often a misconception about the prison population. “There is a danger when we talk about prisons that we get a picture of the very worst offenders. The reality is that the vast majority of people who have made mistakes,” she added. Short sentences did not keep the public safe, she argued, and said people should instead be diverted to community justice programmes instead. Deborah Coles, executive director of Inquest – a charity in England and Wales campaigning on state related deaths – said at its “most basic” reducing prison numbers was the way to save lives. She also backed the call for an independent review into prison deaths so lessons could be learned. “At the moment there are real concerns that the way Scotland investigates custodial deaths is falling short,” she added. Pete White, chief executive of Positive Prison, Positive Futures, spent several months in prison between 2005-6 for embezzlement, said that while his time in prison had provided a helpful turning point, though his work as a literacy tutor, he saw others struggling. He insisted staff went to “extreme lengths” to support vulnerable prisoners sent to prison by the courts and often saved lives. The prison service was working to create better solutions for women, he insisted – a replacement for Cornton Vale where women will be placed in small units with links to the community is due to be operational by 2020. A spokesman for the Scottish Sentencing Council said new guiding principles were due to come into force on November 26 while claiming individual sentences were a matter for the presiding judge. “This states that the core principle of sentencing in Scotland is fairness and proportionality and that, among other things, this requires that sentencing should be no more severe than is necessary to achieve the appropriate purposes of sentencing in each case,” he added. A Scottish Government spokesperson said: “As the First Minister made clear this week responding to the deaths of two young people in custody, we are determined that any lessons that need to be learned will be learned, and that all appropriate agencies must look closely at what happened. This story was also published in the Sunday National on 18 November 2018.